From The Oregonian. It appears that our measurements may be changing and this will affect what we do and how we may do it. Michael Lloyd / The OregonianGov. 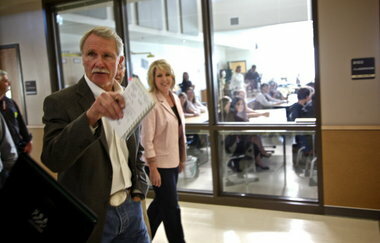 John Kitzhaber, shown walking the halls of Gladstone High School in 2010, wants every Oregon school board to specify the high school graduation rate and other results it aims to deliver in 2013. By June, every school board in Oregon must specify how much it aims to improve student performance in 100 areas next year, from the percentage of ninth-graders passing at least six classes to the share of African American, Latino and special education students who earn diplomas. After hours of debate, Gov. John Kitzhaber’s overarching education board agreed unanimously Tuesday what the state’s new achievement compacts with local school districts will include — and what they will exclude. After critics complained the needs of some students might get ignored, the board agreed to scrap its plan to lump all minority, low-income, disabled and limited English students into one big “disadvantaged students” group. Instead, all 197 school boards will have to specify achievement targets for students in 10 groups, most of which have fared poorly in Oregon schools, including minority groups, students with disabilities, talented-and-gifted students and students learning English as a second language, in addition to setting targets for the district’s students as a whole. But Kitzhaber and his team are optimistic that the act of publicly setting goals each spring will spur big gains in the state’s education outcomes, especially the share of students who graduate from high school and who earn college credentials. The state aims to have 100 percent of students graduate from high school and 80 percent earn a college or industry credential by 2025. Currently, about 75 percent graduate from high school and fewer than half of Oregon adults have a college credential, such as an associate’s degree. Every Oregon school board will receive a customized compact form by April 2, he said. 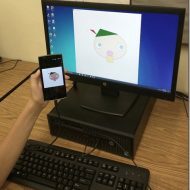 It will show what percentage of the district’s students have met most of the 100 benchmarks in the past. A few of the benchmarks, such as the share of high school students who graduate with at least nine college credits, are so new that the state doesn’t have statistics and districts will have to calculate those themselves. School boards have until July 2 to tell the state how high they’ve set their targets for 2012-13. Nesbitt encouraged parents and community groups, as well as teachers and principals, to weigh in on how lofty their school board’s goals should be. If a school board aims too low, it might get a visit from the state’s new chief education officer, who will be hired this spring, Nesbitt said. That person, with broad authority over early childhood, public schools, community colleges and universities, will have the right to try to persuade a school board to raise its goals, but not the authority to order it. The governor’s 13-member education oversight board, formally titled the Oregon Education Investment Board, did not settle on the measurements it wants in its achievement compacts with community colleges, public universities, the university system and the Oregon Health Sciences University medical and nursing schools. It plans to decide those on March 27, shortly before the April 2 deadline to distribute them to those higher education institutions. Many parents, teachers and advocacy groups urged the board not to overemphasize standardized tests scores in the compacts with school districts. In the end, only 23 of the 100 performance points are primarily about test scores — how many students in 11 categories pass the third-grade reading test and the third-grade math test, along with the number of schools put on a federal needs-improvement list. The single largest factor is how many students graduate — whether in four years or five, on a special education diploma or a regular one. That accounts for 33 of the 100 marks. The big education board has not decided when or how it will check each district’s results and review how close it came to reaching the targets it set. The board will discuss and decide that this summer, Nesbitt said.